We have assembled a great group of Jewish educators to help you answer some of life’s most important questions. From Jewish mysticism to practical living, we have formed a series of effective and no-nonsense courses to help you tread your spiritual path. Rabbi Stuart Schwartz received his Rabbinic ordination in 1992, and in 1994 founded the Boston, Mass. branch of Aish HaTorah. Rabbi Schwartz returned to Israel in 1996 as an instructor, and since 1999 has been the Director of the Essentials program. He lives in Jerusalem with his wife and seven children. Rabbi Moshe Zeldman did his undergraduate work in Artificial Intelligence and Philosophy at the University of Toronto, and has rabbinic ordination from Aish HaTorah. His lucid explanations of deep concepts in Jewish philopshy and his workshops have brought him to audiences in over 20 countries worldwide. He lives in Jerusalem with his wife and family. 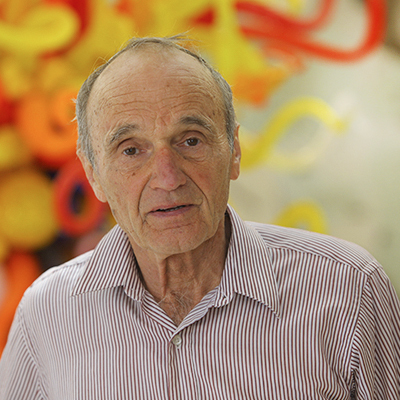 Dr. Gerald Schroeder earned his BSc, MSc and double-Ph.D. in Nuclear Physics and Earth and Planetary Sciences at the Massachusetts Institute of Technology, where he taught physics for seven years. While a consultant at the U.S. Atomic Energy Commission, he participated in the formulation of nuclear non-proliferation treaties with the former Soviet Union and witnessed the testing of six atomic bombs. He has served as a consultant to various governments worldwide and has been published in Time, Newsweek and Scientific American. He is the author of Genesis and the Big Bang, the discovery of harmony between modern science and the Bible, now in seven languages. He is also the author of The Science of God and The Hidden Face of God. Dr. Schroeder is a lecturer at Aish Jerusalem for the Discovery Seminar, Essentials program, Jerusalem Fellowships, and Executive Learning Center – focusing on the topics of evolution, cosmology, and age of the universe. He was born in Hollywood, California and traveled around the world looking for extreme places to go surfing and mountain biking. A lover of music, he has been playing music professionally for over two decades. In England, he's known as the Jewish Bob Marley! Throughout his journey, he accumulated vast insights into human character, religion and alternative spirituality. After receiving a Bachelor of Arts from the University of California in Santa Barbara, he moved to Israel to explore Judaism at Aish HaTorah. After six years of intense study, he became a Rabbi. Today, Rav Yom Tov lives with his family in Yerushalyim where he practices spiritual therapy and runs the renown "Possible You Seminar" which helps countless students towards greater self-awareness and development. Rav Yom Tov teaches a series of Aish Essentials classes and Practical Spirituality and never fails to blow away his students. Having spent six important years living in Asia immersed in Eastern philosophy and tradition, Dov Ber Cohen returned to his Jewish roots and the profound wisdom and insight to be found in the teachings of the great Jewish Sages throughout the generations. 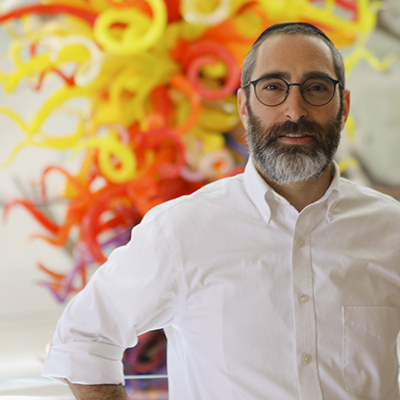 After becoming a Rabbi, Dov Ber has continued traveling the world, running programs to aid people in tapping into their greatest potential and guide their own journey through life in an empowered, mindful, and joyous way. Rabbi Zelig Pliskin is a noted psychologist and prolific author of 26 books, including Guard Your Tongue, Gateway to Happiness, Gateway to Self Knowledge, Love Your Neighbor, Growth Through Torah, The Power of Words, Consulting the Wise, and the recent Life is Now. He received his degree from the State University of New York, Empire State College. Rabbi Pliskin lives in Jerusalem, and is the director of Aish HaTorah's Counseling Center and a senior lecturer at Aish's Essentials program and the Executive Learning Center. He was ordained at the Telshe Yeshiva in Ohio and holds a degree in Counseling Psychology. Rabbi Neckameyer is our expert on Science and Torah. Students love his classes on a variety of topics and enjoy asking him questions on absolutely everything. He was born and raised in Los Angeles and graduated with a BS in Marketing from Cal-State Northridge and received Rabbinic Ordination at Aish Jerusalem, where he currently also lectures for the internationally renown Discovery Seminar. Rabbi Nechemia Coopersmith is the chief editor of Aish.com, one of the world's largest Judaism websites. He is the author of Shmooze: A Guide to Thought-Provoking Discussion on Essential Jewish Issues -- a must-have little book for anyone who loves a good question. He lives in Jerusalem with his wife and children. Rabbi Chaim Yagoda moved to Israel over a decade ago from Englewood, NJ. He studied in the Mir Yeshiva for several years and now resides in Jerusalem with his family. Rabbi Yagoda currently learns at Aish HaTorah, and is a significant member of the Kollel Elyon. Rabbi Avraham Willig is a unique blend of rabbi, lecturer, social worker, and musician. Beloved by his students for his knack for fostering uplifting relationships, Rabbi Willig is known for his warm personality and quick smile. Originally from New York, Rabbi Willig learned in Yeshivat Kerem B'Yavne, completed a Bachelors of Talmudic Law from Ner Israel Rabbinical College, received rabbinic ordination from RIETS at Yeshiva University, and earned his MSW from the Wurzweiler School of Social Work at Yeshiva University. He taught at Yeshivat Shaarei Mevasseret Zion and was a founding member of the Los Angeles Intercommunity Kollel. Rabbi Willig lives with his family in Ramat Bet Shemesh. Born in Newburgh, New York, Seth Clyman moved to Israel with his family at the age of fourteen. He is a proud father of eight and grandfather of more. Seth is a community builder who has directed multimillion-dollar expansion projects for educational institutions in Jerusalem, Israel. Following the crib death of his daughter, Seth was occasionally asked to speak with other parents who had experienced similar loss. He eventually decided to put his thoughts and insights on paper to help others channel their pain and find new sources of strength. After five years, his book "Touching the World of Angels was born. Seth lives with his wife Ellen in Jerusalem.